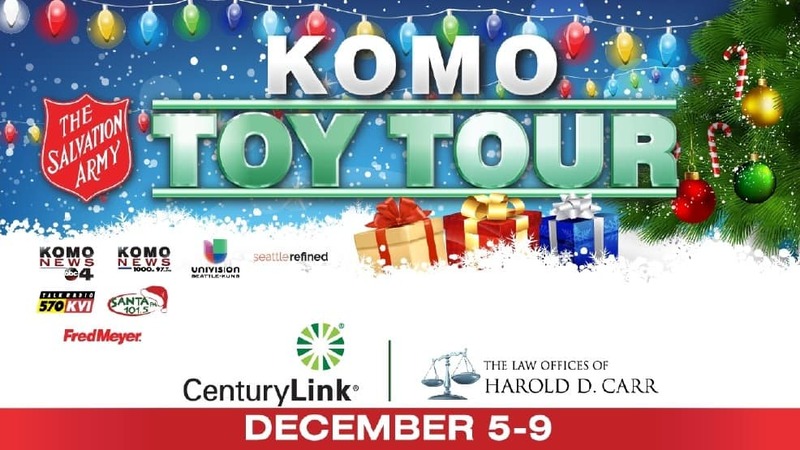 Join us tomorrow at the #komotoytour benefiting The Salvation Army. Help bring joy to local kids along with our client Law Offices of Harold D. Carr. They generously sponsored the phone bank tomorrow and will be delivering toys they’ve been collecting at their offices. Their team and ours will be accepting donations through the phone bank and collecting new, unwrapped toys at KOMO Plaza. There are specific Fred Meyer Stores accepting donations tomorrow as well. Check the link for locations. Happy Holidays!